Islay single malt Kilchoman has launched the seventh edition of its 100% Islay bottling – with all aspects of the whisky-making process taking place on site at the distillery. The oldest expression to date in the 100% Islay line-up, the seventh edition features a slightly lower peating level than the rest of the Kilchoman range. The limited edition bottling is a vatting of fresh and refill ex-Buffalo Trace Bourbon barrels, filled in 2010 and bottled in 2017. It was exclusively produced from barley grown and malted at the distillery on the west side of Islay. Bottled at 50% abv and launched this week, it is priced at £73.50 per 70cl bottle. ‘Since day one we have not only been proud of the traditional methods revived to create the 100% Islay releases, but also the quality of the spirit produced,’ said Anthony Wills, Kilchoman founder and managing director. 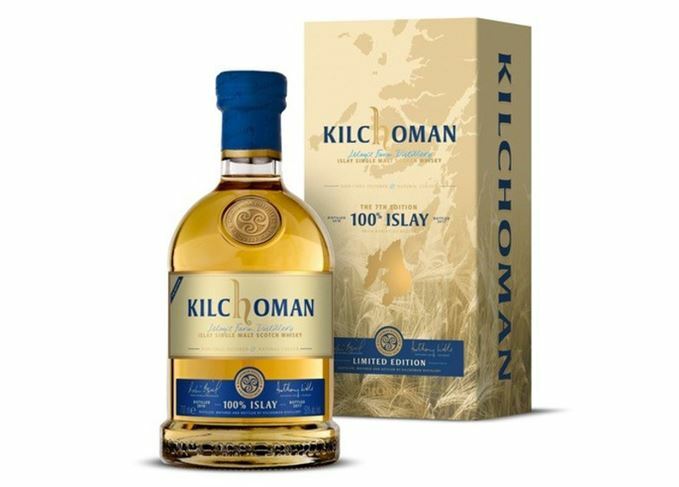 Production manager Robin Bignal said it had been a ‘fascinating journey’ watching the development of the 100% Islay casks from the inaugural release, with the influence of Bourbon barrels complementing Kilchoman’s combination of citrus fruit and peat smoke.